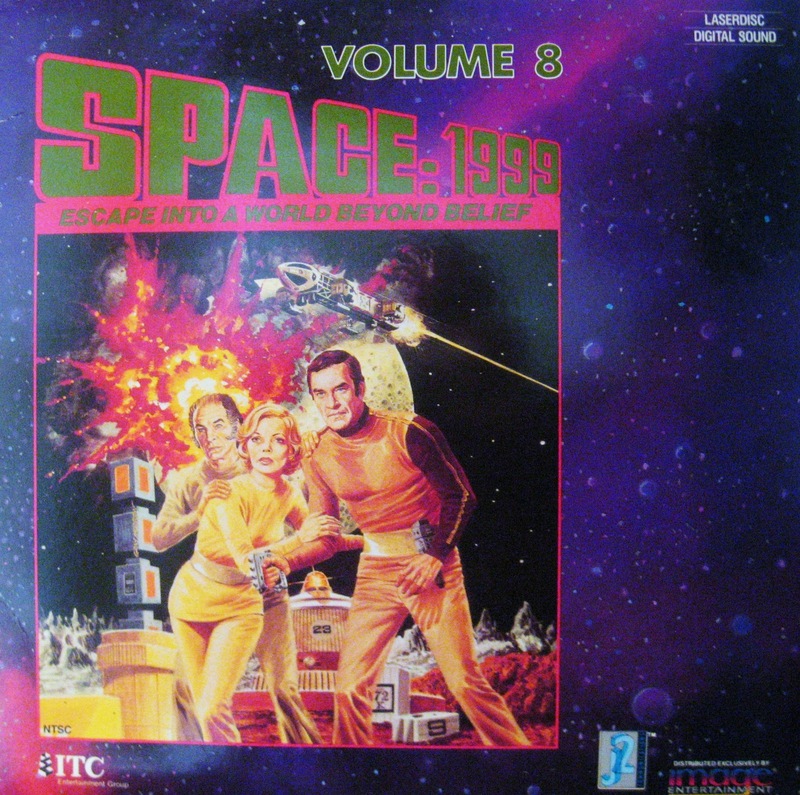 This entry was posted in 1990s, Memory Bank. Bookmark the permalink. I feel your pain, John, and I share your sense of nostalgia. In the late 90s I went out of my way to purchase a copy of the single laserdisc release for Millennium (featuring "Pilot" and "Gehenna")… in spite of the fact that I have never owned a laserdisc player! I just had to have it in my collection. I have it to this day.It especially amuses me that you began the article with a reference to GoldenEye. How many times have I bought GoldenEye? As a true 007 fanatic, I, like many film aficionados, have been driven to completely replace my ever-expanding collection of the James Bond films every single time they're released in a new format or revised edition. And believe you me, they know they have a hand in my wallet, staggering DVD releases and continually withholding obvious special features for future special editions. When MGM announced the 50th anniversary Blu-Ray box set of the series I didn't know whether to cheer with joy or groan aloud with pain! Of course, I promptly pre-ordered. Some great tech and film memories, John. 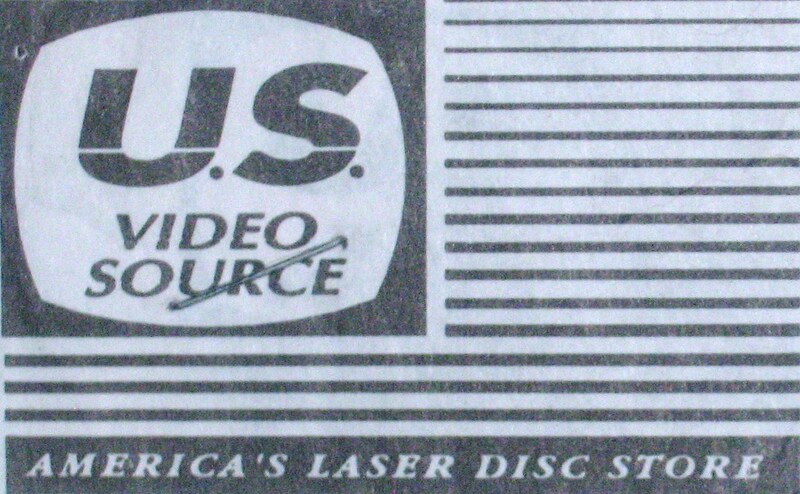 I never owned a Laserdisc player, but I was well acquainted with it. In fact, the very first time I ever viewed James Cameron's director's cut for ALIENS was at my wife's co-worker's home where her cohorts had a get together. I fondly remember him, sadly he passed away earlier this year, showing me all of the wonderful facets of the technology, and what it was capable of. He brought out that LD and teed it up for me. I was suppose to be with my wife, mingling and all, but once this film started, I couldn't leave it. Come to think of it, more and more of those at the party decided to join me in this. Half of everybody there that day ended up glued to his projection screen till the film ended.It is an unhappy reality that technical and media formats go by the wayside. You also bring up a good point regarding laser rot. I can assure you that many in IT are well aware that digital doesn't mean forever, even if it's sold as such. Even if you keep a pristine disc (away from sunlight, especially), you're still up the creek without a paddle if the player of that specific format dies or can no longer be serviced. And not everything comes forward with new formats. Here's something for you to think about media and content:- out of the all of the movies on film since inception, only a fraction of that library ever made it to VHS/Betamax- of those on consumer tape, only a fraction of them ever made it DVD (and some never in the original aspect ratio or theatrical cut)- so you can guess what the situation is currently with Blu-ray Disc; what makes it to your home is a dwindling number, even if you count the new movies being released 3 – 6 months after their theatrical runs.Sorry to carry on, John. Your post really got me going. Many thanks. Thanks for the trip down nostalgia lane. :)My parents owned two video stores since 1980 and Laser Discs were one of our more popular formats. The two stores were located in areas where we actually had a lot of Hollywood folks lived, and for research purposes they'd often want to find the Laserdisc copy of a film to see it in the original aspect ratio. But as the library expanded, we got more and more renters. As you pointed out it never really challenged VHS, but our Laserdisc base was pretty loyal.There were some really excellent special editions in the format. "Blade Runner" was a revelation on Laserdisc. Not only was the movie amazingly clear, but the huge vault of concept art, costume design and other behind the scenes goodies really opened my eyes to how detailed that production was. For me "Star Wars" was the real treat. The sound and picture was amazing on these films – with John Williams score blaring away. Great stuff.Collecting became a lot easier when DVD rolled around. They took up less space, you didn't have to flip them and they were cheaper. LD didn't stand a chance. But like you I still have fond memories of the format. And I watched the original Star Wars trilogy so many times on the format, that I still remember where all the disc flips occur. Now when ever I watch the series in their original form mumble "and flip the disc" much to wife's annoyance. :)One more memory to share. You mentioned "Goldeneye" as a memorable LD. Actually I remember that as our best demonstration DVD. The sound and picture on the "Goldeneye" DVD were amazing, and that sucker was on constant rotation. It was one of the early releases that really helped sell the DVD format, along with "The Matrix" and "Austin Powers". I never owned a LD player but I had a friend who did and I managed to get him to tape a bunch of things for me, like BLUE VELVET letterboxed. Before DVDs, I was obsessed with that film and heard that the image was severely compromised in pan and scan so I had my friend make a copy on video tape. I must've worn out that tape I watched it so much.I think that the one great thing to come out of laser discs and the reason to still hold on to a player are all the rare Criterion Collection special editions with extras that have, in some cases, yet to migrate over to DVD/Blu-Ray for legal reasons. For example, I cherish my video tape copy of the Criterion edition of THE FISHER KING with Terry Gilliam's awesome audio commentary and all the extras. Will these ever see the light of day? Hopefully, Sony will license the film over to Criterion but I'm not going to hold my breath. Or, David Fincher's THE GAME? There are rumblings that Criterion finally has gotten the rights back for this one which makes me wonder/hope if they will port over the extras from the LD. Those discs are still worth their weight in gold, IMO. Thanks for the article, my first LD was the Criterion Blade Runner release. That was way back in the eighties, when I got a Sony Laserdisk player. I went nuts collecting all of the movies I wanted to see in widescreen. 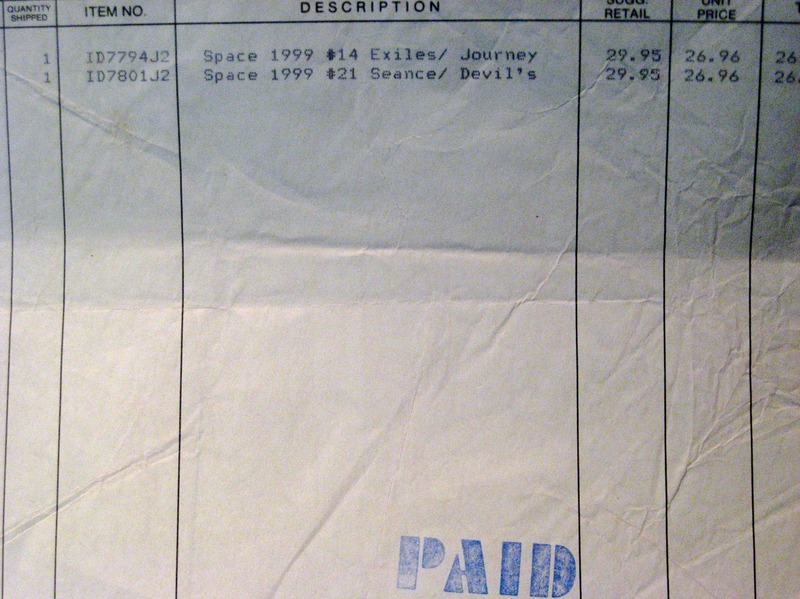 The bonus material in Alien took about 6 hours to go through(without watching the film). One of my favorite disks was Tron, it’s supplemental stuff had some nice touches that the DVD lacked. But it was the same material. My favorite store to get LD was Tower Records(now another memory). 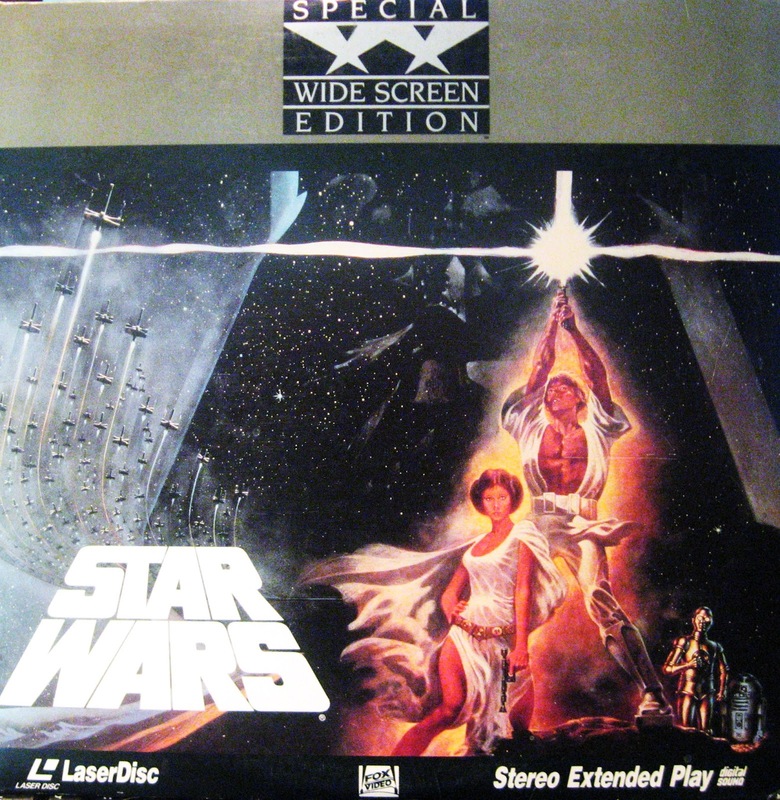 The first altered versions of the original trilogy was sold in a box set(at $250 a pop). Tower would sell them out very quickly. When my Sony player finally gave out, I replaced it with a Pioneer DVL909(it played DVD’s as well). The last LD I got was Titanic. My first DVD was Starship Troopers.